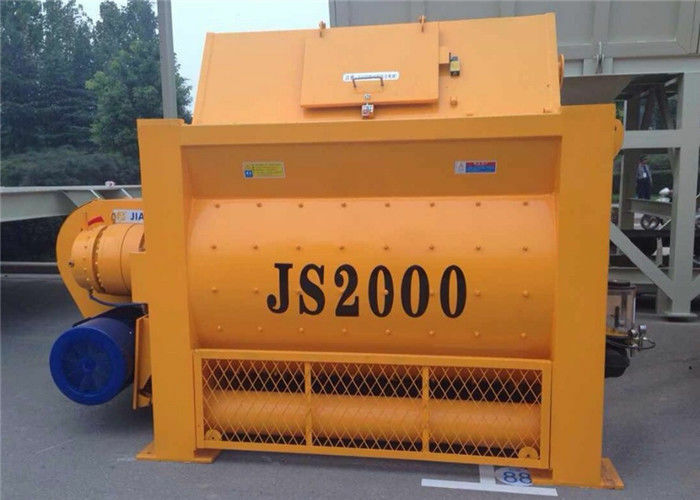 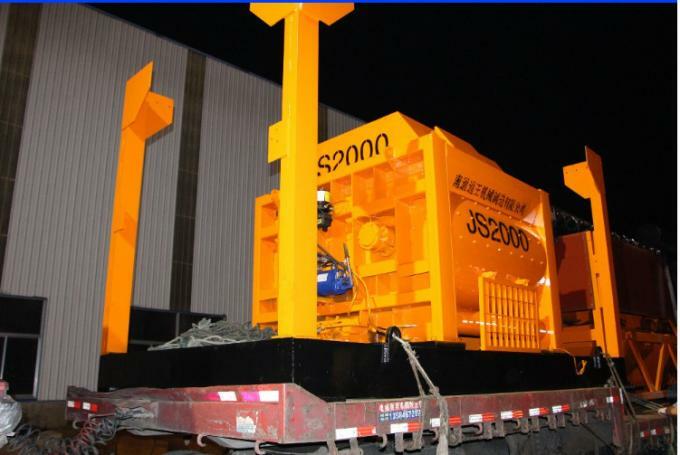 JS2000 concrete mixer is twin axis compulsory concrete mixing machine, which has two mixing shafts inside the mixing drum. 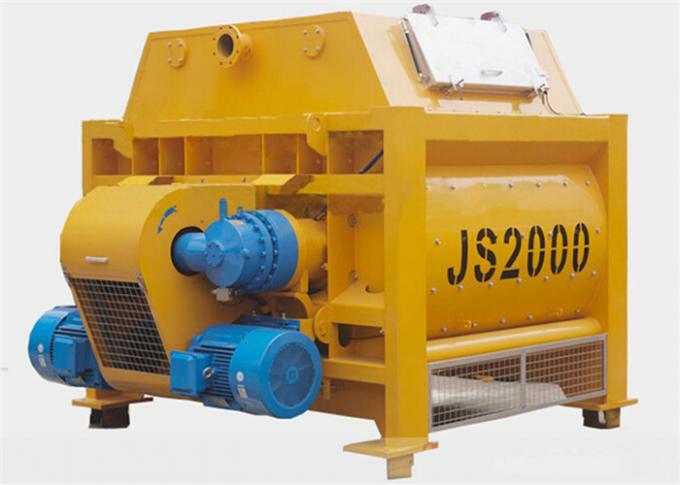 When the mixer is working ,both the two shafts are running.JS500 can work independently, also can be composed the concrete batching plant . construction conditions.They are widely used as the main mixer ind a set of concrete mixing plant. 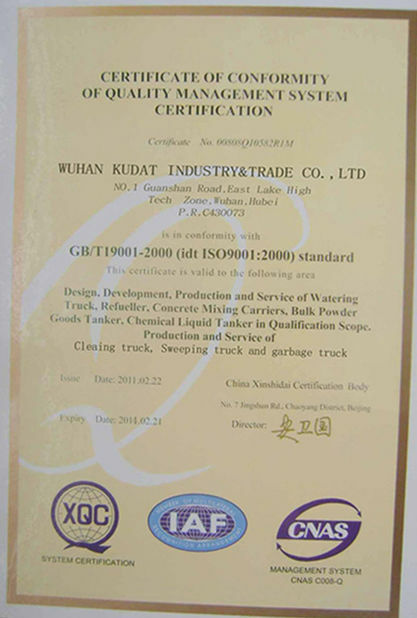 adopts multi-layer sealing device with good leakage-proof. 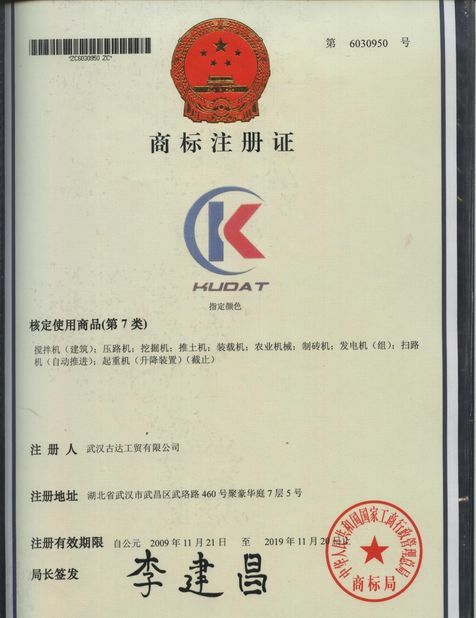 and other recipes of concrete.